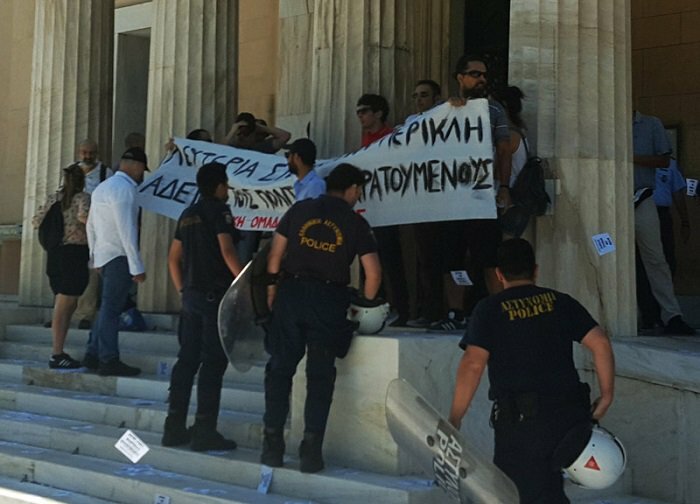 More than a dozen members of the anarchist group Rubicon breached security and entered the courtyard of the Greek parliament. The group threw fliers and shouted slogans standing just outside the parliament building. They were demonstrating demanding the release of a woman prisoner, Irianna, who has been charged with terrorism related offenses. Irianna, a 29-year-old PhD student, was convicted last month of being a member of the Conspiracy of the Cells of Fire, an urban guerrilla group known for carrying out a series of letter bomb attacks. 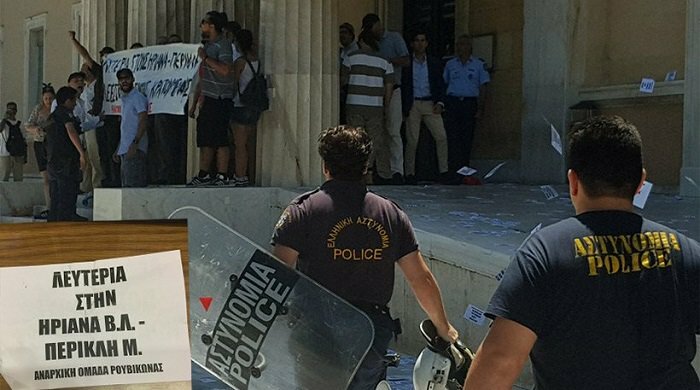 Greek police escorted the demonstrators away, but according to some reports they made no arrests following the intervention of parliament leader Nikos Voutsis. Rubicon has conducted dozens of attacks, both peaceful and violent, against perceived symbols of the establishment, from various state agencies to transport ticket inspectors. Leader of the opposition Kyriakos Mitsotakis blasted the lax security arrangements and demanded that those responsible for the breach should be held accountable.